Stock Logistic is an integral logistic operator specialized in international shipping. As a freight forwarder we have a highly qualified team of professionals in the management of import and export traffic of all types of goods from any point to any destination in the world. We are experts in international shipping and have tailor-made solutions for the main industrial sectors: forestry products, ceramics, lighting, textiles, raw materials, bulk drinks, automotive, food and perishable goods, machinery and construction. Our aim is to become your ally to get your business moving as far as it needs to go. We want to be your logistic partner so that distance is no longer a problem when sending your goods.In Stock Logistic we do not believe in standardized solutions, we know that each type of industry is special and has different logistic needs. Our team is specialized in identifying the most suitable method to manage the transport, storage and distribution of each product according to the interests of your company.We have a wide knowledge of the logistics sector and we maintain commercial contacts with the main shipping companies and transport companies in the world. This allows us to obtain the best prices to cover all the links of the logistic chain. 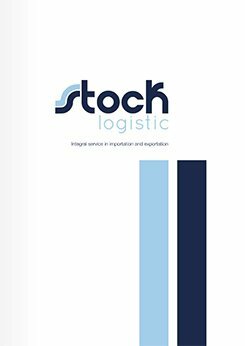 Stock Logistic belongs to the Alonso Group, a leading multi-sectorial holding company in the field of logistics with 100% Spanish capital. This allows us to have our own network of infrastructures, including maritime terminals, warehouses and customs areas, railway and land transport platforms, shipping companies and road transport companies. Our mission is to provide added value to our clients and to promote the progress of their businesses, society and the global economy. Stock Logistic is a dynamic and constantly growing company with a young, experienced and highly qualified team of professionals. The people who are part of Stock Logistic are our best asset and the basis on which our customers place their trust. If you think you can fit in with our team we are looking forward to meeting you.